The A.V. 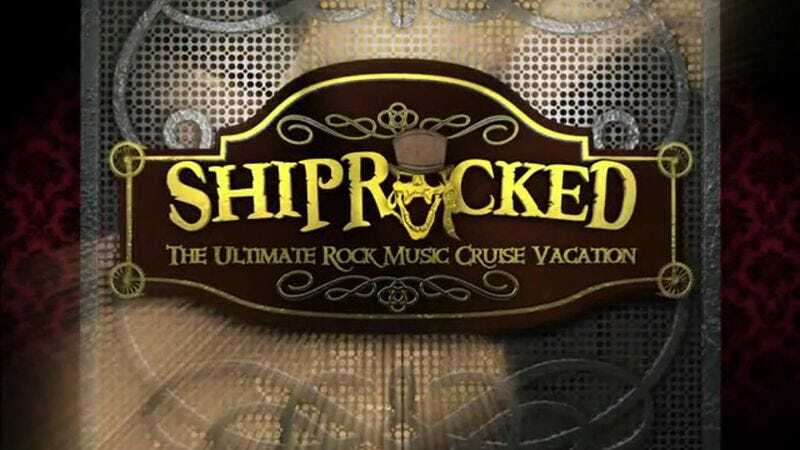 Club is giving its readers a chance to win a cabin for two on ShipRocked. Leaving Miami for the Bahamas on February 2, ShipRocked is billed as the “ultimate rock music cruise vacation” and features performances by Limp Bizkit, Living Colour, Black Label Society, Buckcherry, P.O.D., Sevendust, Andrew W.K., and more. Our winner and their guest will spend four days at sea with Fred Durst and company, enjoying “music, mayhem, gnarlatious activities, and theme nights,” as well as some interesting-sounding artist hosted events. Winners will have to pay taxes on their cabin (about $225 a person) and get themselves down to Miami, but otherwise everything that’s not alcohol is covered. To enter, simply e-mail avcontests@theonion.com with the subject line “ShipRocked.” Please include your full name and mailing address in the body of the e-mail. Winners will be chosen on Monday, January 5 and notified shortly thereafter. Entrants who aren’t interested in putting all their eggs in the contest basket can also purchase their own ShipRocked cabins via the cruise’s site. Readers who use The A.V. Club’s dedicated ShipRocked page will also get $50 in on board credit, perfect for purchasing rum cocktails or buying some commemorative swag. Get ShipRocked with Nonpoint!! from ASK4 Entertainment on Vimeo.